The Estate tier offers expressive wines that reflect the terroir of the estate and are designed for everyday enjoyment and varied cuisines. 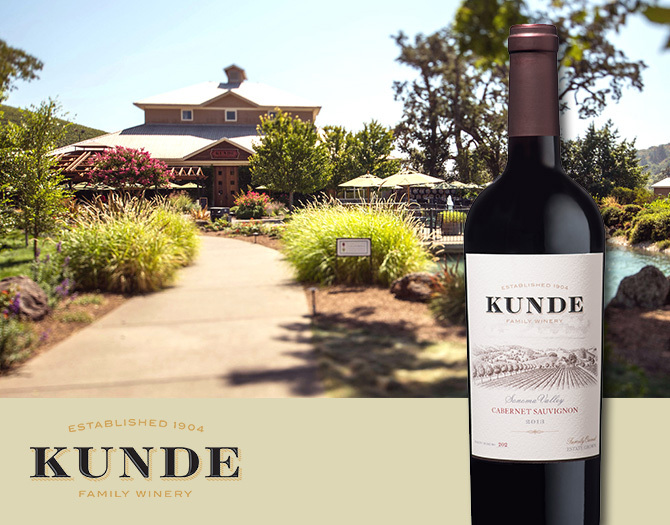 The Reserve wines represent the finest expression of the Kunde Estate vineyards through world class Zinfandel, Chardonnay, and Cabernet Sauvignon. Since 1904, five generations of a winemaking family from Sonoma Valley’s largest estate vineyard have worked to ensure the best of Sonoma is in your glass. Family Owned, Estate Grown, Sustainably Farmed.